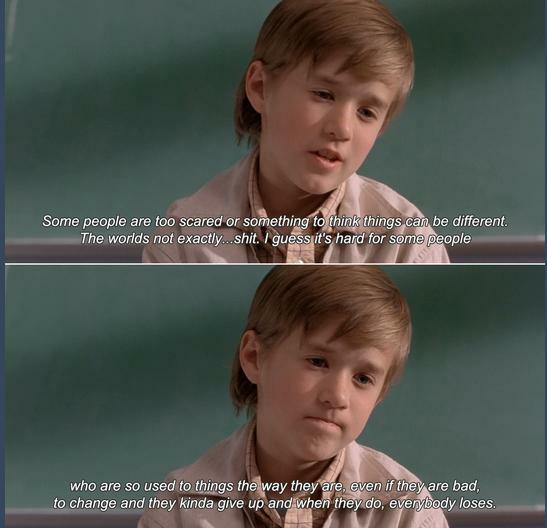 Trevor: Some people are too scared or something to think things can be different. I guess it’s hard for some people who are so used to things the way they are, even if they are bad, to change and they kinda give up and when they do, everybody loses. "Sometimes there’s nothing we can do."